We believe that it’s vital for young people to know where their food comes from. In 2018, we are working with youth at schools in the South Downtown neighborhood as well as the Belmont and F Street Rec Centers and Educare of Lincoln. 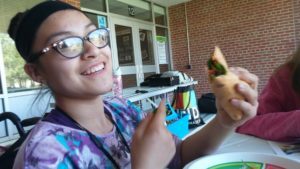 Locally, Lincoln Public Schools nutrition services department has been working hard to increase the amount of locally produced food in the cafeteria and to educate students about the importance of eating more fresh produce. 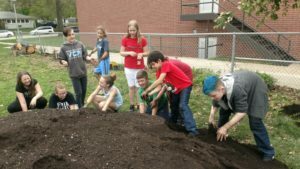 Many schools have added or updated garden spaces so students can have the opportunity to plant, tend and harvest a variety of vegetables! 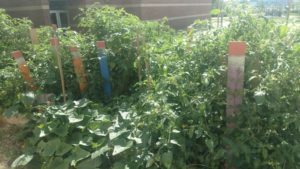 Although not directly managing any school garden spaces currently, there are a number of school garden projects across Lincoln which Crops has been involved in throughout the years. 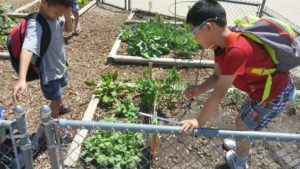 In each garden, teachers, students and staff are encouraged to bring learning to the outdoors by going to the garden. Families and community members are invited to help out in the evening, weekend and especially during the summer. 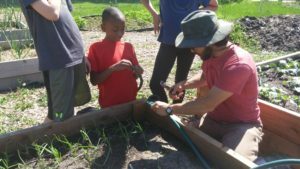 Community crops continues to support these efforts through providing resources for weekly clubs, organizing work days and recruiting volunteers. 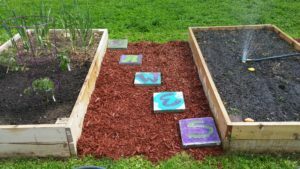 The garden is a prime location to teach young people about food systems and nature, observation, being quiet and connecting with the earth. Mickle hosts a large hoop house, hugelkulture and more than a dozen raised beds. 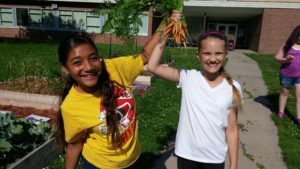 During the more than five years Crops has been involved, we have had weekly garden clubs through the CLC, Earth Day events in the garden and small groups of students helping in the garden over their lunch period. This is by far the largest vegetable garden space and includes apple, peach and pear trees as well as a field of popcorn! 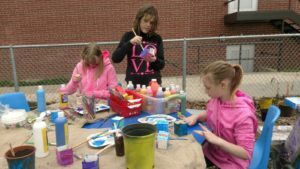 Several years ago, Community Crops joined in collaboration with Civic Nebraska to bring youth programming to Dawes Middle School. 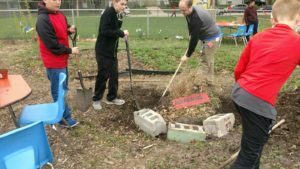 Staff and teachers now lead their own garden club engaging math and science students during the school day and all students in garden club after school. 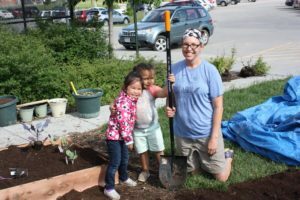 Dawes is a great example of a school community fully engaging in and supporting their school garden space! 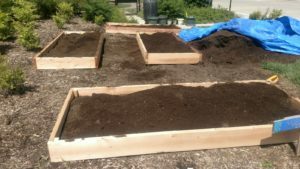 The garden at Everett has grown every year thanks to the partnership with Community Crops and Lincoln Sunrise Kiwanis! 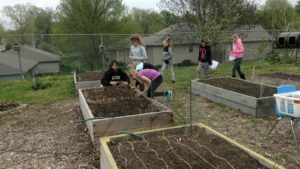 Community Crops has worked the past two years to help Educare, a research based preschool in north Lincoln, to install and expand their school garden space. 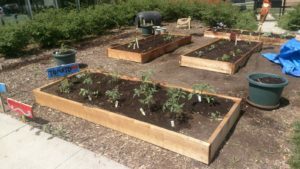 The garden is completely planted, weeded, watered and harvested by the young students at the school, teachers and families. For more information on the Crops Youth Program or to set up a session with students, contact Nicole at (402) 474-9802 or nicole@communitycrops.org.